Product prices and availability are accurate as of 2019-04-19 20:37:07 UTC and are subject to change. Any price and availability information displayed on http://www.amazon.com/ at the time of purchase will apply to the purchase of this product. What's black and white and cute all over? Tai Shan, the panda cub born at the Smithsonian's National Zoological Park, whose first months of life have attracted millions of rapt visitors to the Zoo website's panda cam! 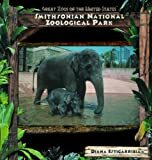 Panda Cam tracks the increasingly ridiculous cuteness of Tai Shan, the National Zoo's baby panda, over his first seven months as shown through the Zoo website's "panda cam" -- a camera continually trained on the Fujifilm Giant Panda Habitat to capture his every move. With an introduction by Susan Lumpkin, director of communications of Friends of the National Zoo, providing an overview of Tai Shan's life so far, these adorable color photos with corresponding captions feature Tai Shan's cutest moments -- snuggling with his mom, taking his first steps, lounging in his beloved tub, munching on bamboo, climbing trees, and frolicking in the snow. 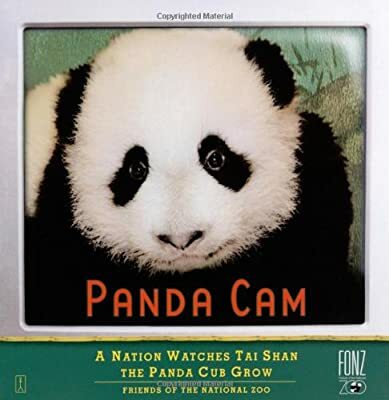 Given the media frenzy that has surrounded every move of the cub's young life, Panda Cam is sure to cause panda-monium among the millions of fans of this panda cub superstar.